It's finally time to mention the blogs I really like! 14 blogs which I really enjoyed to read. You can also view on bloglovin who I follow. Guess all of the points will be exactly the same about each blogger. LLYMLRS: I guess Lily will be my favourite blogger of all the time! I also really liked her youtube channel, her videos are really quick and straight forward. VICTORIA TORNEGREN: Her simple style made me became obsessed with Victoria! She is so beautiful as well. RASPBERRYANDRED: Weronika is such a beautiful and talented blogger from Poland! I love her hair, she just looks amazing! FLIRTINGWITHFASHION: I remember that I won FlirtingwithFashion Naked 2 palette giveaway, another favourite fashion blog of mine. MARIANNAN: One of the first blog I've started following, I really love the lifestyle photographs. LADYLIQUORVTQ: There is something in the photography that I really like about this blog, the blog is so easy to read! GH0STPARTIES: Kate really have set the photography game really high! I must say she has amazing skills, she is doing really well with running her own website and the blog. LIANA-BEAUTY: Ohh this girl! I really love her videos, she is just hilarious once she is with Estee, guess all of you have already heard of her. MASCARA-AND-MALTESERS: Annabel has such a amazing blog! It's my new discovery in 2014, really like it. SPARKLYVODKA: I love her brand focus posts, as sometimes I want to try out something from a brand but sometimes I just forget what I should pick up, her post are just great to work out what to buy. THATGRACEGIRL: Grace photos are just the bomb! Such a shame that I haven't discovered her blog earlier. SIANSHUTTERBUG: I first started watching Sian youtube videos, she is such a gorgeous girl! 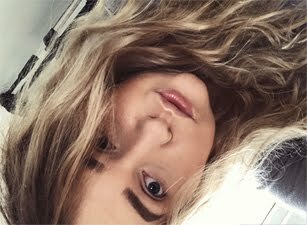 GRACIEFRANCESSA: Gracie is one of my favourite youtubers, I love her personality so much! She also have a nice style. MILKTEEF: Emma is my all time favourite, she had a blogging break, but she is getting back into blogging again, this makes me so happy!